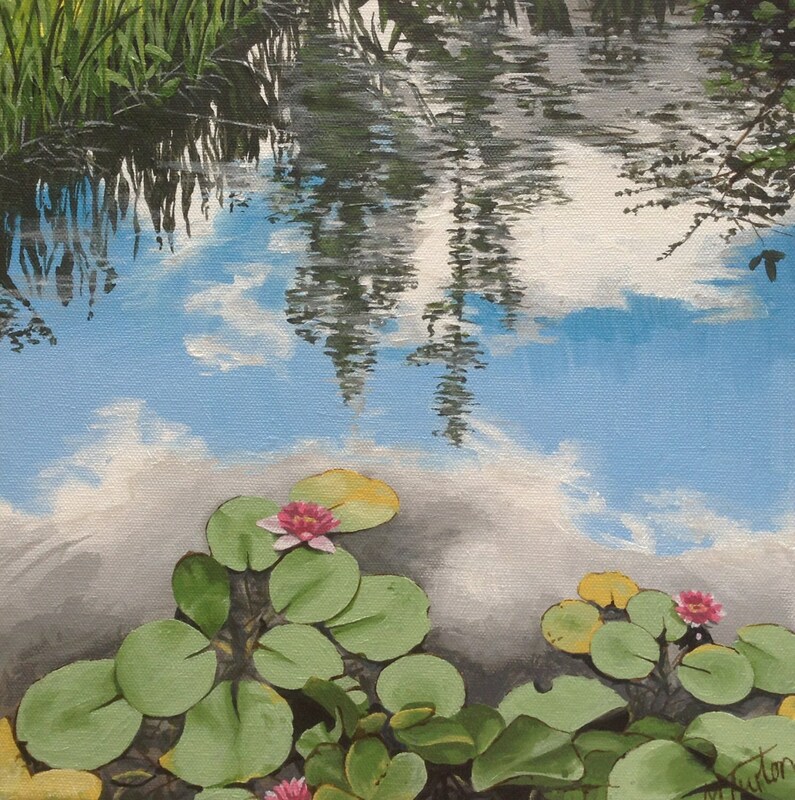 Pink water lilies float in the sky in the reflection in a lily pond, by Margaret Turton. Size: 30cm square, 4cm deep. Painting continues around edges so no frame required. 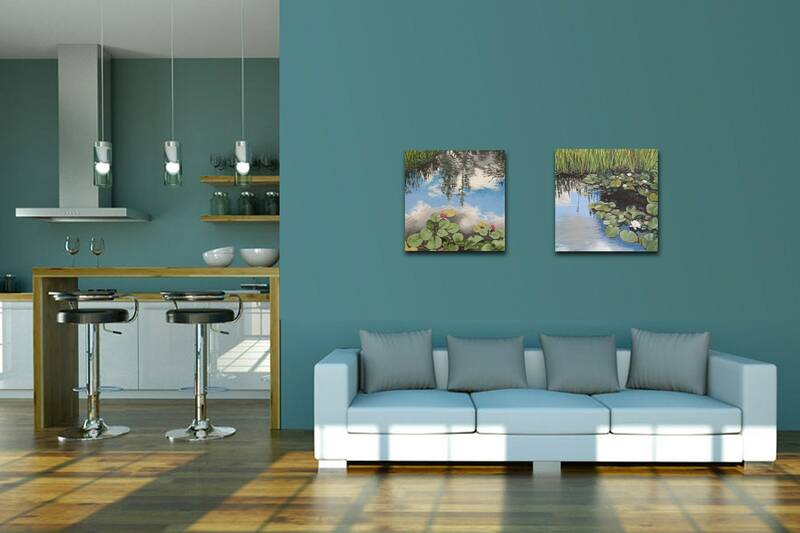 Home interior not to scale, white lilies painting also available. FREE postage to UK. Sent by secure delivery, to be signed for.